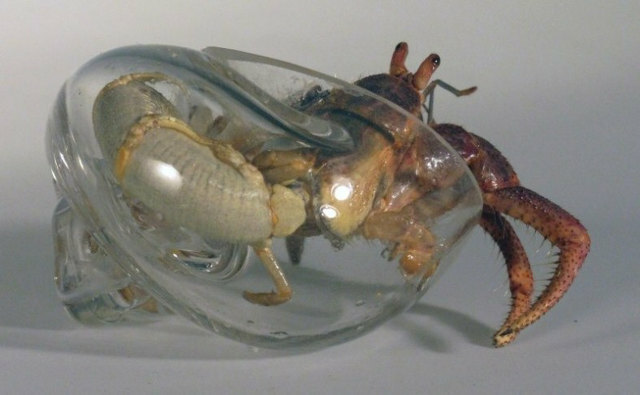 Artist Makes Hermit Crab A New Glass Shell | OhGizmo! By David Ponce on 08/08/12 • Leave a comment! 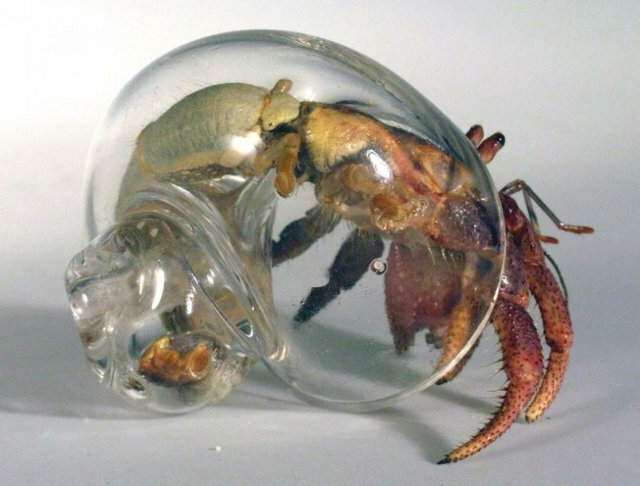 Because crustaceans gave up their dignity when they started tasting so good, artist Robert DuGrenier decided he’d make his pet hermit crab a new shell. Out of blown glass. So you can see the little guy’s keister. We’re fascinated, he’s not even embarrassed. It’s a win-win! 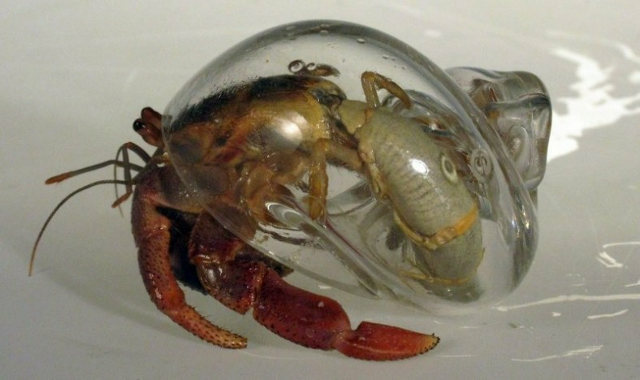 Now we say Robert’s “pet crab”, but we’re just making that up. We don’t really know how he got started since he’s not only been at this for a few years, he also actually sells the shells he makes. They range in price from $15 to $120 for some fancy gold painted ones. Most are in the $20 range. 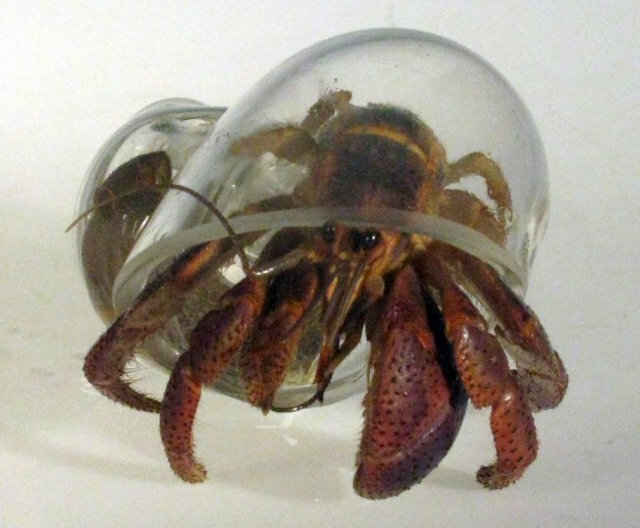 If you’ve got a crab you think you can coax into some fancy new digs, hit the jump to find the links. AND a bunch more pictures and even two videos.